Description: Have you run out of I/O pins? 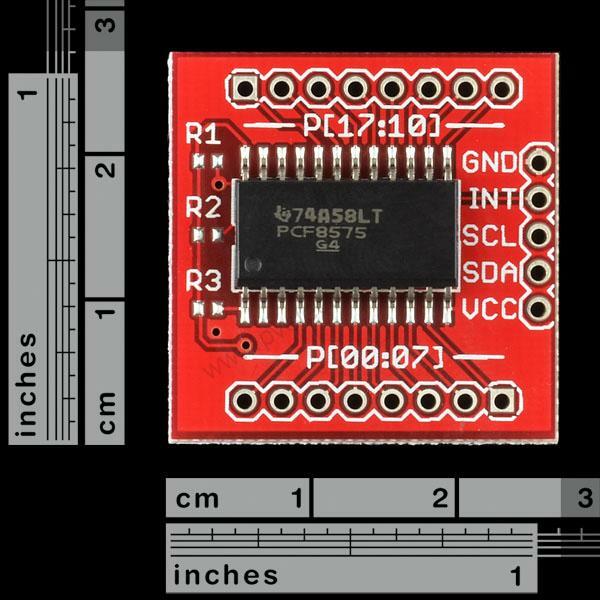 This great IC allows the user to expand up to 16 I/O using only two I/O for control! 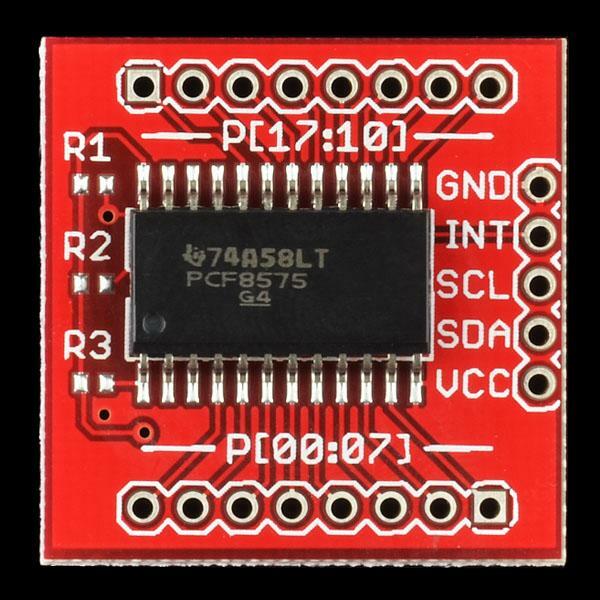 The PCF8575C is controlled through an I2C interface and features 16-bits of quasi-bidirectional input/output pins. 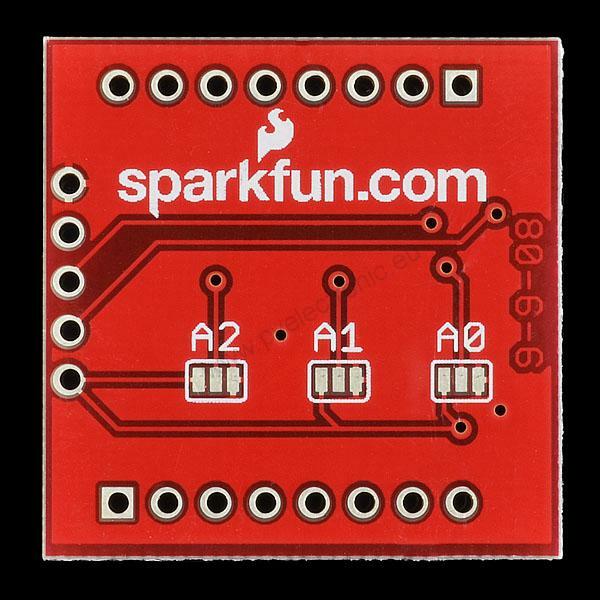 Checkout the datasheet for more info! 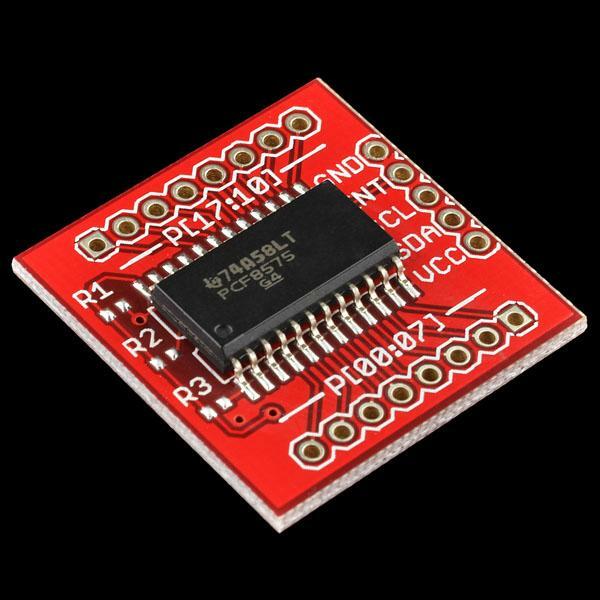 Features: - 16 individually addressable pins - Each pin configurable for input or output - Interrupt output pin Dimensions: 1x1"